Gambling can be a lot of fun. If done responsibly, you get the rush of trying to beat the odds. Sometimes you win, sometimes you lose, but that’s hardly ever the point. You can’t generally gamble with real money with any game in the Google Play Store. It’s against their terms of service and the same goes for Apple’s App Store. Thus, most gambling games and gambling apps don’t use real money. However, there are some gambling games that you can play where you can gamble with fake money. 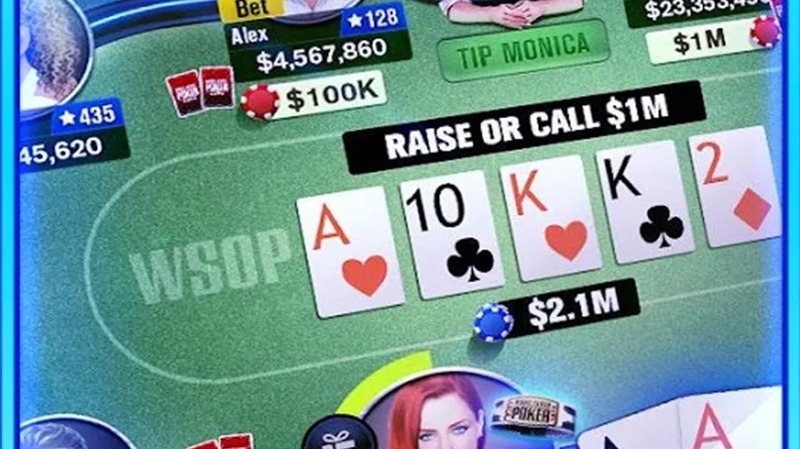 Let’s take a look at the best gambling games for Android. Looking for other types of gambling games? Check these! Big Fish Games is a developer on Google Play. They're responsible for most of the gambling games you'll see just by searching the term. They have a vast collection. You'll find several card games, slots games, and even a full-blown casino game. All of them are freemium and that's easily the worst part about them. However, most people seem to enjoy playing them. It's a good place to start if you're looking for a variety of these types of games. The link above will take you the developer page so you can see the entire collection. DraftKings is a fantasy sports app. The way it works is you join up, pay to join a fantasy league, and then you win money if you win the league. You can play most sports including football, baseball, hockey, basketball, and others. The company has undergone quite a bit of controversy for the way they do things. However, most people seem to be enjoying themselves. Games can be fairly cheap to enter so even those on a budget can get into the fun. This is actual gambling with real money so make sure to play responsibly! FanDuel competes with DraftKings and the game does about the same thing. You'll be able to enter fantasy leagues for a variety of sports using real money. You can win or lose money depending on how well you do. There are a variety of games that you can play, including the 50/50 where you win a couple of bucks just for finishing in the top half of the rankings. Like DraftKings, you'll be playing with real money in this one so do make sure you play responsibly. Also, like DraftKings, FanDuel has seen some controversy from some detractors. You should look that up before committing. Huuuge Games is another developer on Google Play. As you may have guessed, they develop tons of gambling games. They specialize in slots games and have a variety to choose from. Each app has a variety of slots to play. Many of them give you free coins to start with as well. Enjoyment of these games seems to be determined on how often the people reviewing the game have won. It's not real money so you're not risking anything important. You can buy more coins with real money if you want to, but that's your decision. 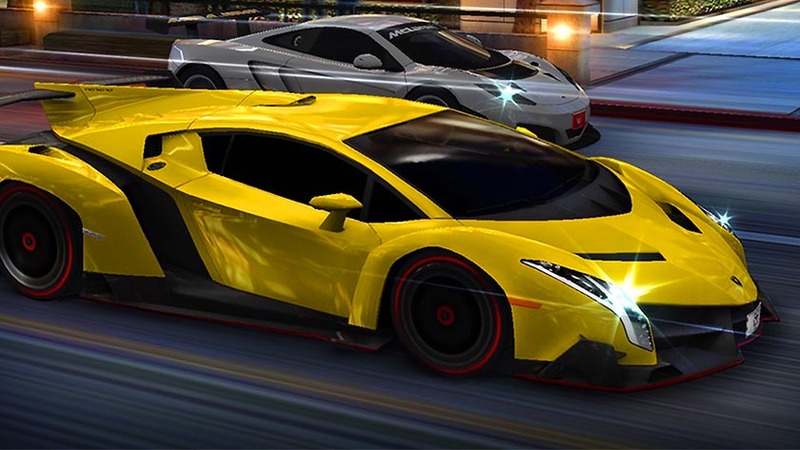 GSN Games is a developer of a variety of gambling games. They specialize in gambling games that revolve around slots and video poker. There are two main types of games. The slots games are fairly self explanatory. The casino games offer a bit more variety and usually include video poker and slots. They even have a solitaire game worth trying. The games have their flaws, but they're generally worth playing. The link will take you to their Google Play page so you can check out all of their games. Here are some more fun games to check out! 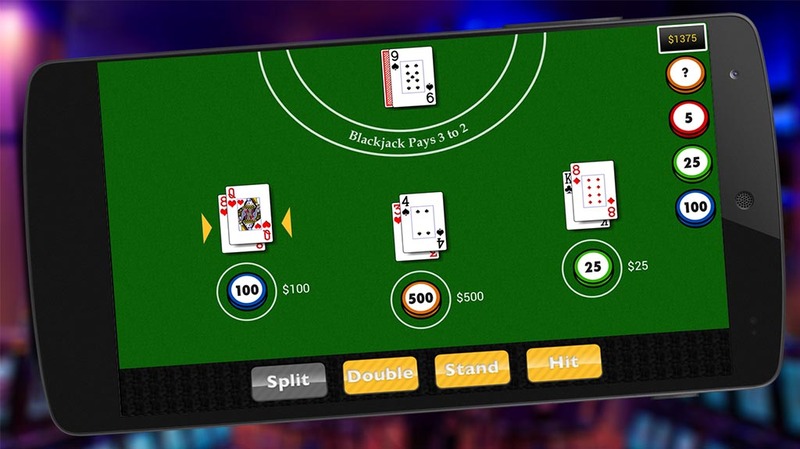 Mobile Deluxe develops gambling games. This one gives you a solid variety of games. They have Blackjack, slots, and solitaire. Each one does more or less what you'd expect. You'll get free coins daily to play with or you can buy more with real money (not recommended). There are some bugs, but if you can get passed them, the games are rather enjoyable. The big draw, though, are the slots games. Particularly Big Win Slots which features 18 three or five slot machines. It's worth a shot at least. Mywavia Studios is a developer that does gambling games. This studio has a bunch of different types of games. You'll find baccarat, Texas Hold'em, slots, bingo, blackjack, and more. The Texas Hold'em game in particular seems to be popular with people. It has over 100,000 downloads, includes live online playing with other players, and the game gives you free chips every day to play with if you bust. They're a good developer to check out for a little variety from the usual array of slots. World Series of Poker is probably the best online poker game that you can find. Unlike most, it delivers chips every four hours which helps lessen the wait if you run out. Additionally, there are tournaments, special events, online play, and all sorts of other goodies. It supports both Texas Hold'em or Omaha. There is also cross-platform support. You can play on mobile, online, or on Facebook later on. You can even play anonymously. It's a solid experience although the freemium aspect can get a little annoying from time to time. Yahoo Fantasy Sports is a pretty decent, free fantasy sports app. You don't to pay anything to start your own league. However, the ability to invite your own friends lets you create paid leagues between you and your friends. Otherwise, you can just play for free. The app has some bugs, but usually it lets you check your teams, set up your roster, and even make roster moves. Occasionally, Yahoo will invite you to come play in paid leagues as well. It's not necessarily gambling on its own, but you can easily convert it into one with a few bucks and a few friends. Zynga is one of the most popular game developers out there. You may know it as the company that made Farmville. As it turns out, they have some gambling games under their belt as well. Or, rather, they have a bunch of slots games. They have individually themed slots games based on movie and TV show characters. They also have some casino slots games that have multiple slots, themes, and features. The apps are freemium which isn't great. However, Zynga is better than most when it comes to this kind of stuff. Thank you for reading! Here are some final game lists for you! If we missed any of the best gambling games for Android, tell us about them in the comments! You can also click here to check out our latest Android app and game lists!